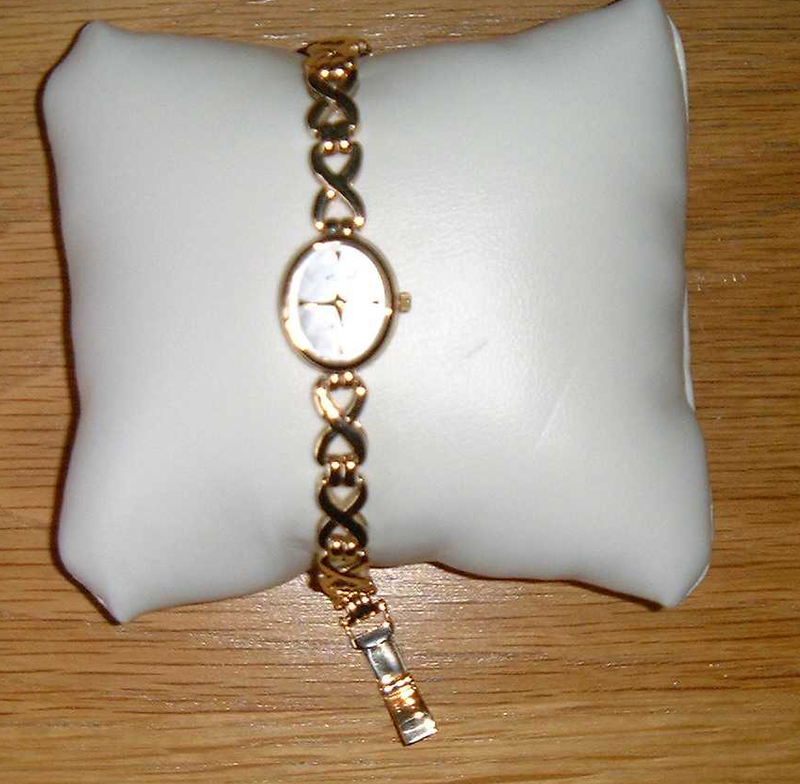 Can you help reunite a blog reader with this 9ct gold watch with mother of pearl face? 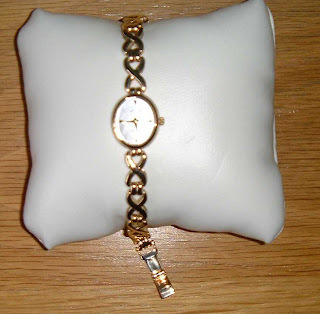 It was lost whilst the owner was out jogging on Sunday 23rd October at around 5.00pm. It was lost somewhere in the Dalmeny Road / Sandringham Road / Bridgewood Avenue / Sparrow Farm Road / Stoneleigh Avenue / Lynwood Drive / Donnington Road / Braemar Road area. It is worth about £500 and there is a reward for its safe return. Contact the blog if you can help! Halloween is almost upon us and there's lots going on in Worcester Park to help get you in the, erm, spirit. The Vin Bin wine shop is holding a free family-friendly tasting evening this Friday (28th October) from 5.30pm to 8pm with soft and alcoholic drinks from the spookily-name 'Septimus Spyder' brewery, as well as a selection of top-notch autumnal wines. Fancy dress is optional and candy will be available for little ghosts, witches and superheroes. Meanwhile Centrals Bar & Lounge is holding a kids' fancy dress Halloween party from 10.30am on Sunday 30th October. There will be face painting, games and prizes to be won - the face painter will be there from 11am to Midday, with a kids' disco and entertainment from 11am to 2pm. Remember remember the 25th of November, for that is the date of the 2011 Worcester Park Traders' Association Christmas Late Night which this year will be bigger and better than ever before. As well as late night shopping and plenty of charity stalls and rides along Central Road, for the first time ever Stone Place car park (outside Waitrose) will be closed to cars and filled with rides and other entertainment for all the family. So put the date in your diaries. Lots more details, as always, to follow right here on the Worcester Park Blog! "I have been living on Longfellow Road for coming up to four years and I am a qualified driver of 20 years so I would say I am well versed on the rules of the road and the reading of road signs - especially those on the road where I live. What a lot of self-righteous people (who don't live on Longfellow road) don't know is that it's NOT all a one way street. Yes from Hazelmere Gardens to Central Road the one way rule starts, but not before that. My gripe is when I drive down Longfellow Road towards Green Lane I get accosted by all sorts of drivers, not to mention pedestrians, shaking their heads at me or hanging out their windows shouting at me that it's a one way system. I just reply and say I live on the road and the one way system starts at Hazelmere Gardens. Today took the biscuit completely, not being able to find parking anywhere due to all the 'station cars' I had to drive back down Longfellow Road away from Central Road to a spot I'd passed only to meet oncoming traffic. I pulled in to allow cars to pass yet again to be met with shaking heads and finger wagging! 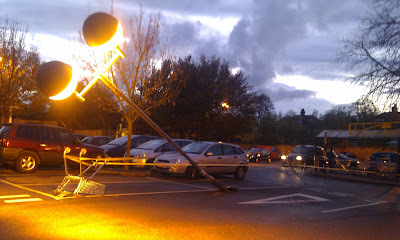 Even a man pushing a buggy shouted at me that it was a one way system. What is wrong with these people who are so quick to comment? When they seem to know nothing anything. To these people I say mind your own business!" I do not hate traffic wardens. There you go, I've said it. I've finally come out and admitted it publicly. In fact I do have some sympathy for traffic wardens - they are, after all, just enforcing the rules and without them our towns and cities would be even more gridlocked with badly parked cars and obstructed roads and it would be even harder for the law-abiding motorists to get around, let alone get a parking space. I also have this great working arrangement with traffic wardens whereby I don't park illegally and in return they don't give me parking tickets and fines. It works, and so fare we're getting along great. What I have less time for, however, are Sutton Council's sneaky, snidey little CCTV enforcement cars (if you can call a Smart car a 'car'). You might have seen this cowardly creations creeping around the roads of Worcester Park, hiding at cowardly distance as their little CCTV camera pops up from the roof to record the fine-inducing footage. I spotted one in Worcester Park this week, filming a fencing contractor who had no other choice but to pull across a neighbour's driveway in order to unload a large delivery of fencing from the back of the van. Then, this morning, the same van was parked around the corner filming away as builders unloaded supplies for a house on Malden Road in North Cheam. It all comes down to what you see the role of traffic wardens as being - it is to keep our streets flowing freely or is it to catch people in the act and raise revenue as a result? In neither of the cases I have seen in recent days were the 'offenders' were causing obstructions or impeding traffic. Surely, if Sutton Council's enforcement officers really are there to ensure the rules are obeyed strictly and to keep traffic moving they should (as I did this morning) warned the driver to move along, not sneak around filming them from a safe distance away? I have grudging respect for traffic wardens because they are there on the ground, they are visible. By and large they do their job openly and are man (or woman) to look drivers in the whites of their eyes as they do it. For Sutton Council's CCTV cars, however, I have no respect. Anyone can sneak about, hiding round corners to raise revenue. That's not fine by me.